Writing out a verse slowly and illustrating it can be a wonderful way to meditate on it, to “think on the page.” But it’s not always easy to get started, and to know what to draw. Here is one straightforward procedure I like to use. I write out the verse that struck me before I do anything else. I usually vary the size of the words, perhaps emphasizing the ones that seem to stand out. It is often easier to draw an inanimate object, and there is something symbolically potent about a single item removed from the scene. Here it is a mat, but it could be a tree or jug or any other object. I draw it in “behind” the words, letting the line “jump” over my words. 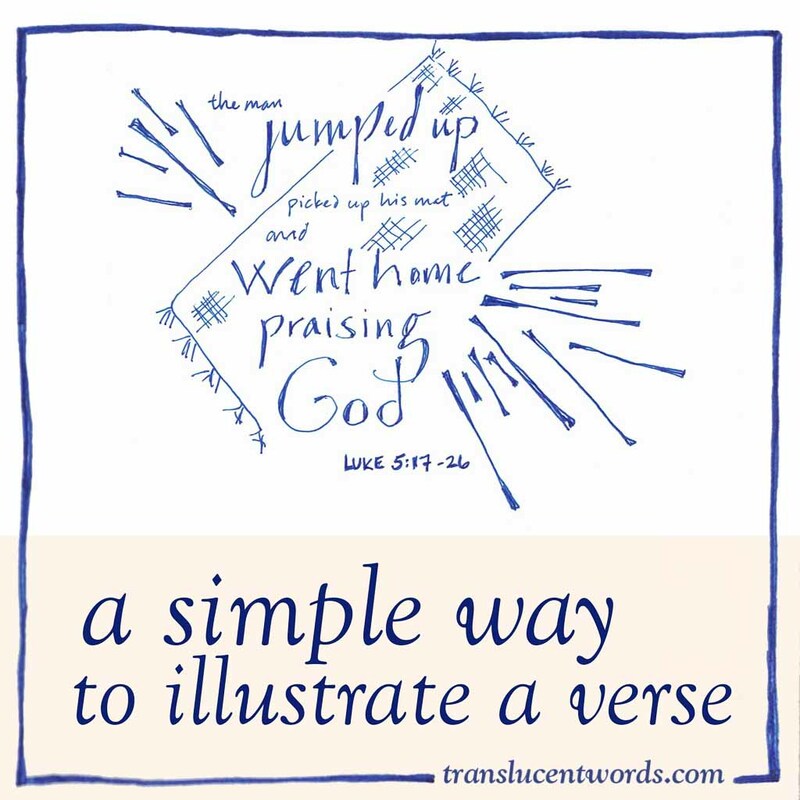 Decorative lines, swirls, patterns, or borders can actually pick up the “mood” and help to interpret the verse, even though they are completely abstract. They’re fun to draw, too, and meditative. So, the formula for this kind of illustration would be: words + object + expressive lines!